13 Monday - Friday, 8 a.m. - 5 p.m.; Holidays, 10 a.m. - 4 p.m. Open to the public. 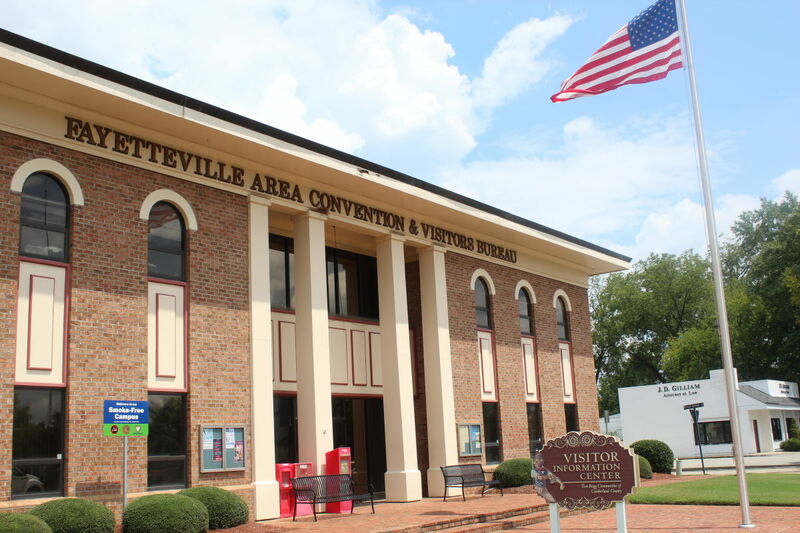 The Fayetteville Area Convention and Visitor’s Bureau positions Fayetteville and Cumberland County as a destination for conventions, tournaments, and individual travel. We operate a Visitors Center with a drive-through window. We are located just minutes from the heart of downtown. Signs from I-95 provide clear directions to the Visitor Center. 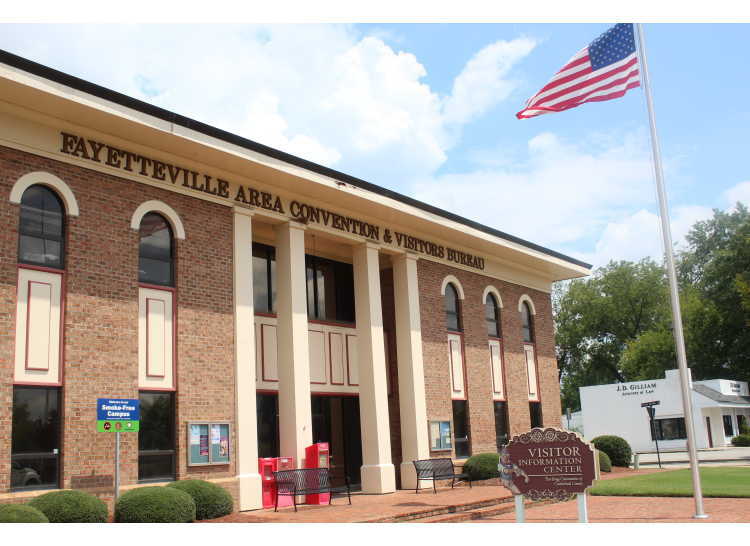 Call us for information and help planning your visit to the area or stop by when you arrive for maps, brochures and more. 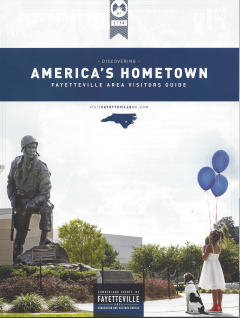 While you’re here you’ll experience our History, Heroes, and Hometown Feeling!